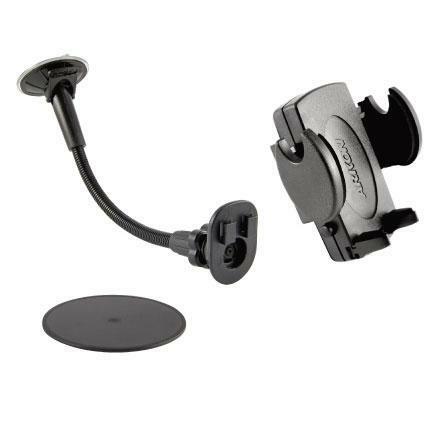 Arkon's SM226 14 inch long flexible gooseneck windshield suction mount for iPod is ideal for trucks and vans or other cars that have a long distance from the windshield to the front of the dash. The 14 inch long windshield suction pedestal features an 64mm suction base, and provides maximum hold from the windshield. The iPod windshield suction mount is fully case compatible and will work with all models of iPod including the iPod mini and iPod nano. Perfect match for all skin cases.